Pantone recently named ‘Living Coral’ as the colour of 2019. 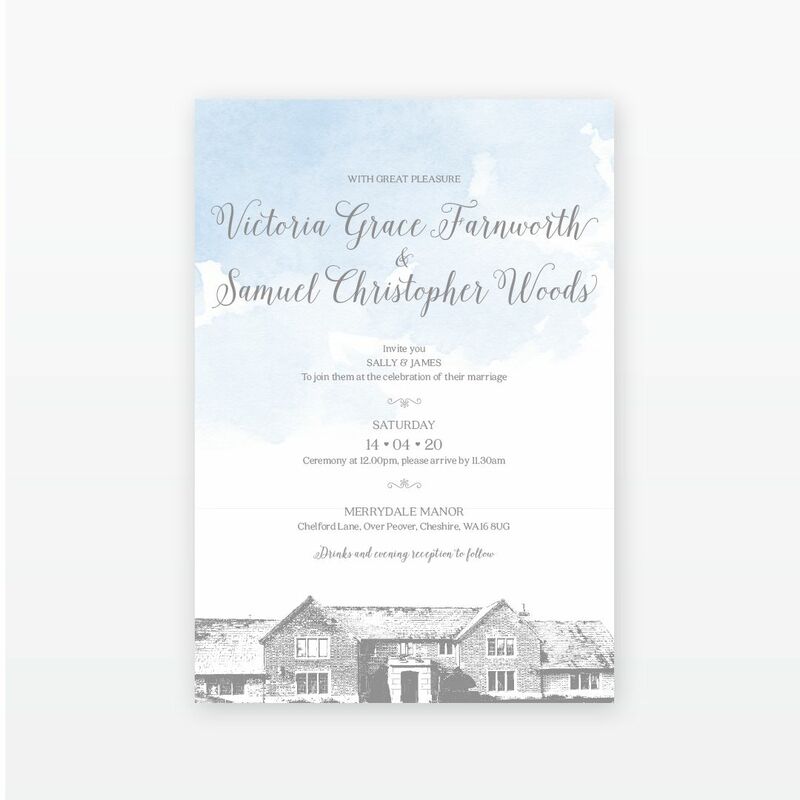 You can spot hints of this colour in some of our more recent designs but we can’t wait to see it appear on some of our other collections too! Read our Living Coral blog post here! 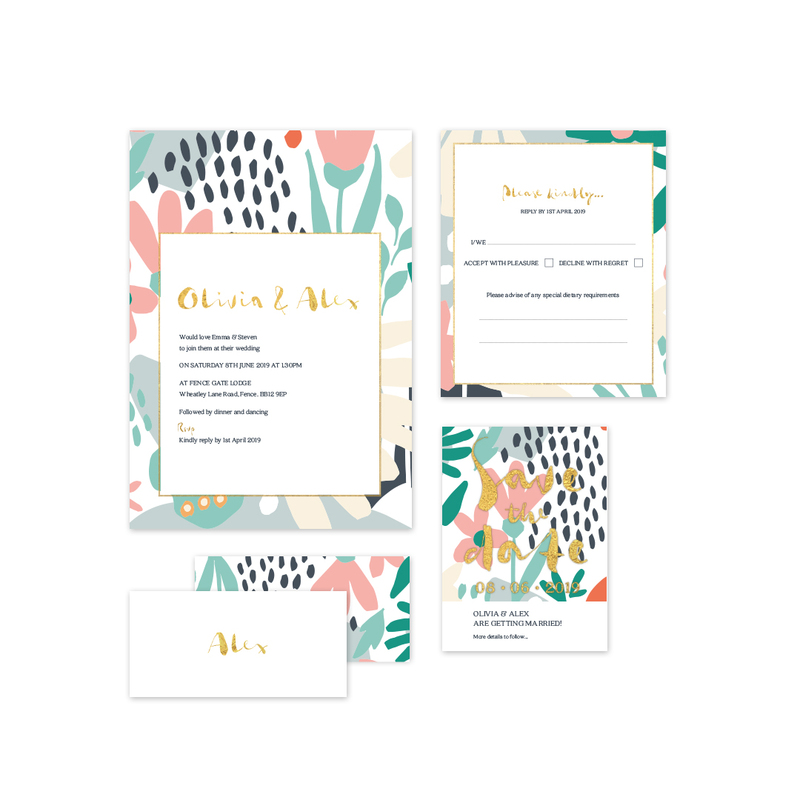 Illustrated details and handwriting style fonts are a perfect way to add a little more personalisation to your wedding stationery. 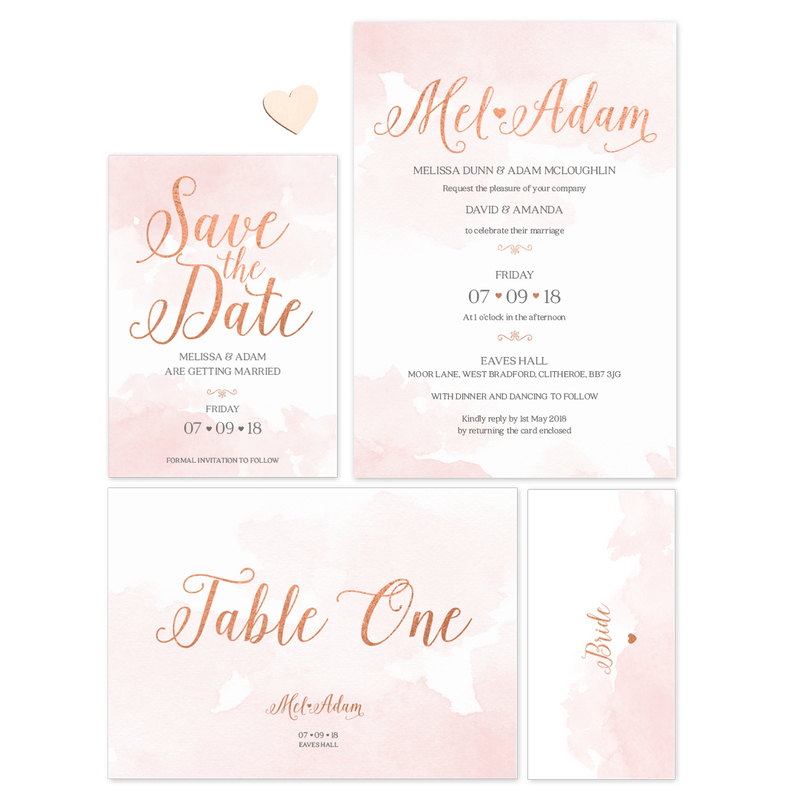 You could incorporate a little of this trend on your on the day items, or even go all out with an illustration of your venue taking centre stage! The Travel trend has been seen creeping in over the years but with our recently revamped ‘Destination‘ collection, we agree that this year it’s going to be big. 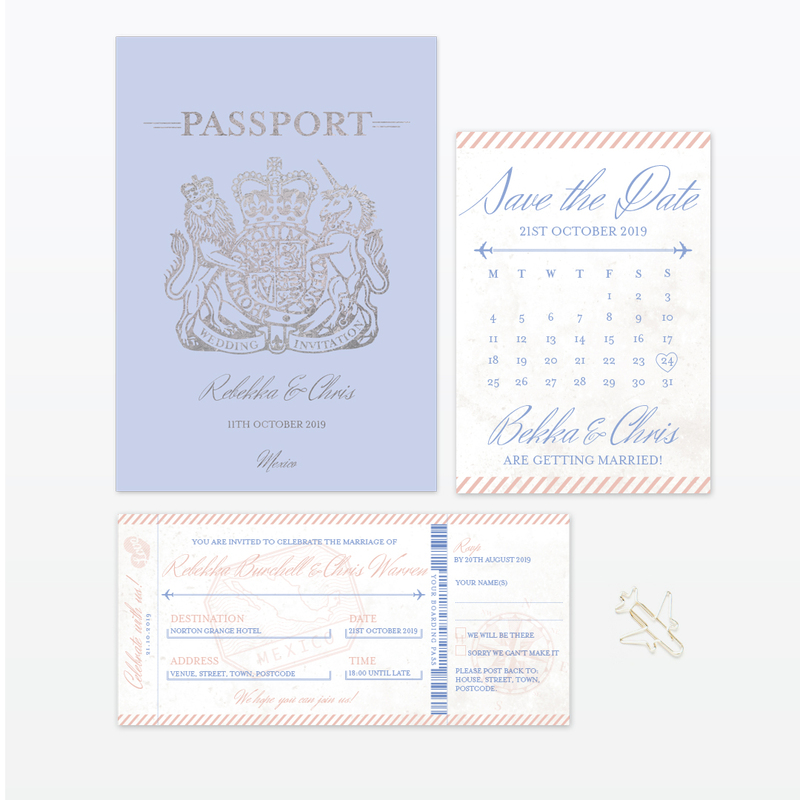 Why not opt for a boarding pass invitation or even a foiled passport design? Continue your theme throughout your day with our ‘Where in the World Table Plan‘ and matching on the day items. The Destination trend will suit couples getting married abroad and those who are lovers of travel. 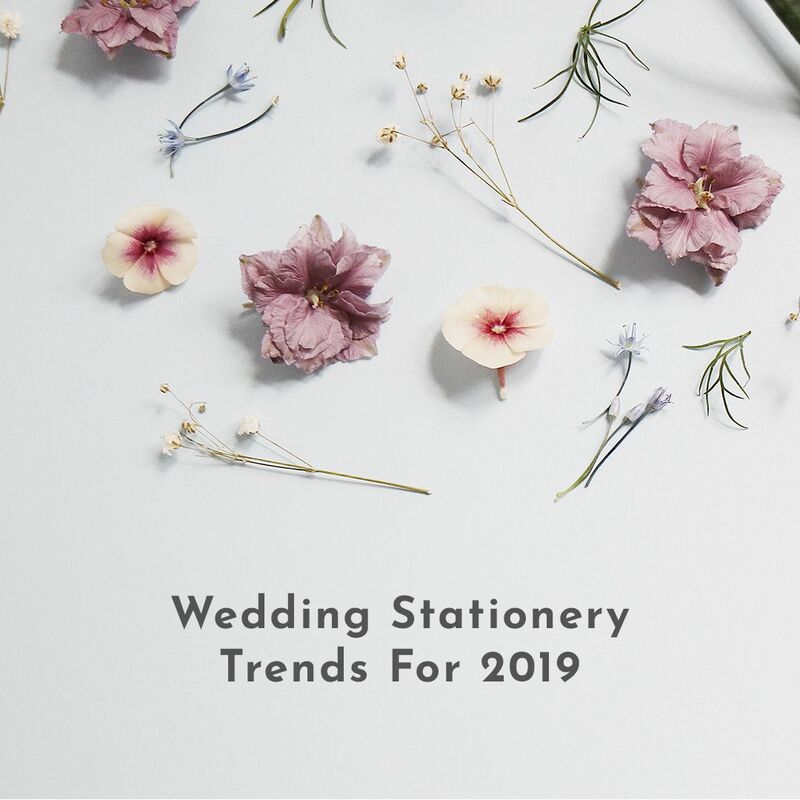 There you have it, our wedding stationery trends prediction for 2019! Of course, you lovely lot could prove us wrong and we may see something completely different! What theme do you have in mind for your 2019 wedding? Let us know here.